Lacrosse rules define the parameters of lacrosse play. As lacrosse is a contact sport, lacrosse rules are set up for fair play and player protection. There is a referee, an umpire and a field judge. 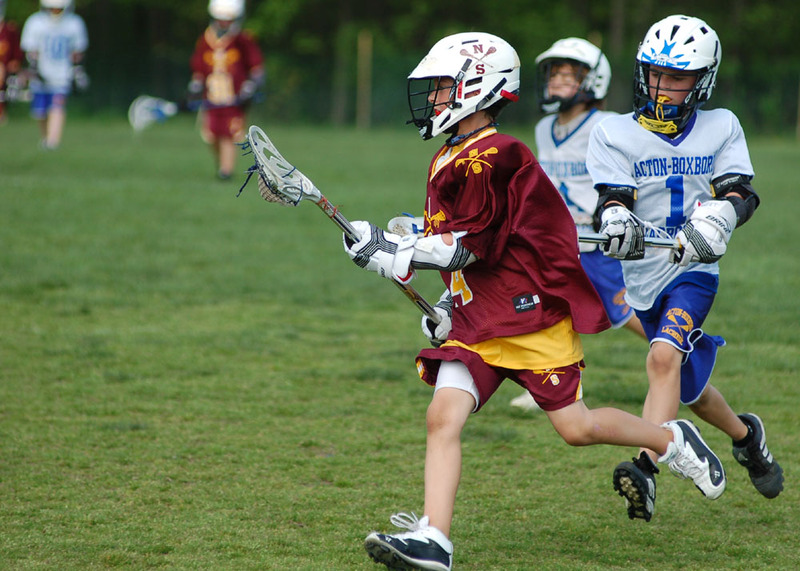 In lacrosse, there are two teams of ten players each. A team consists of a goalie, three defensemen, three midfielders and three attackmen. The point of the game is to get the ball into the opponent’s goal, and whichever team scores the most goals, wins. Among the players on each team, three players plus the goalie must stay in the team’s defensive half of the field. Three players must stay in the offensive half of the field, and three players (the midfielders) can roam up and down the entire field. Lacrosse collegiate games last for 60 minutes and the quarters are fifteen minutes each. High school games are shorter--48 minutes, with quarters of 12 minutes each. There is a ten-minute halftime and a two-minute break between the other quarters. Youth games are 40 minutes and the quarters are ten minutes each. Lacrosse teams change sides between periods and each team has two timeouts in each of the halves. A Lacrosse game begins with a coin toss and the winning team decides which end they would like to defend first. Play begins with a face-off. There are four players in the defensive area, one at the center, two on the wings and three players in the attack goal area. The face-off players try to control the ball. When the whistle sounds, the players in the wing areas can run toward the ball. Everyone else must wait until one team has gained possession of the ball. Players must use their crosses to catch, pass, or run with the ball. The only player who can touch the ball with his hands is the goalie. Stick checks are used to get possession of the ball. This means a player can poke and slap at the stick and gloves of another player to try and get them to drop the ball and give up possession. Body checking is also allowed, similar to hockey. The opponent must have the ball or be within five yards of a loose ball. Body checking has to be above the waist and below the shoulders. Both hands must remain on the stick at all times. A crosse can be stick checked if within five yards of a loose ball. Lacrosse rules allow for personal and technical fouls. If a ball goes out of bounds, possession is given to the other team. If there was a shot that was unsuccessful on an out of bounds, the player nearest the ball is awarded possession. An attacking player cannot enter the goal area, but he is permitted to reach in with his stick to try and get a loose ball.